Stability Control Siping utilizes 3-D sipes to stabilize tread elements providing enhanced handling in wet and dry conditions. Also, contributes to more even treadwear throughout the life of the tire. 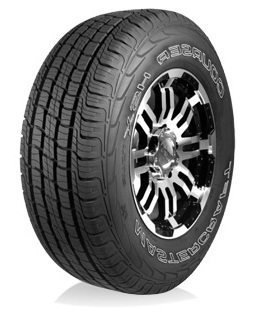 The design of the tread and silica-infused tread compound leads to a better balance of all-weather performance. Treadwear is also improved through this feature.